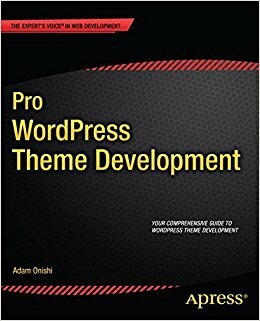 After several weeks of online research, looking into possible solutions that would best suit our requirements, I went back to the bookshelf, specifically a book called Pro WordPress Theme Development by Adam Onishi, which I’d been reading the previous summer for a freelance project. I recalled skimming through a chapter on WordPress Multisite – a way to create a network of sites that all share the same WordPress installation. It wasn’t of interest to me at the time but I’d stowed the concept away in the back of my mind as something that might be handy in future. With multiple school websites to factor into the build, and the fact that we wanted to develop bespoke designs for each individual Academy website, this setup was looking more and more promising. It was time to get the testing phase underway. * It’s worth mentioning at the this point that a setup of this complexity shouldn’t be used by someone who’s unfamiliar with WordPress. Ideally, you’d be skilled in WordPress theme development. A while back, I’d migrated one of our school websites to a new hosting provider: 1&1. With the knowledge that we’d likely develop an additional landing site for our Trust (and more sites potentially), I’d picked an appropriate server spec and hosting package to handle such an expansion. A dedicated cloud server gave us flexibility with the configuration, and the option to scale up (or down) the level of resources as required. With this already in place, it was a straightforward task to complete a full WordPress Multisite installation and begin testing key functionality. Before fully developing the lander site, which would act as the parent site for the whole network, I tested out the major features that a full development of the network would hinge on. Using what I’ve since labelled ‘the switch’, I was able to pull files such as our Trust policy documents from one site (the parent site) to individual school sites (child sites) using the WordPress switch_to_blog() function. This also makes it possible to take post and page content from one site and display it on another. Pointing multiple domain names at individual websites was also possible with the MU Domain Mapping plugin by Donncha O Caoimh. With full network management from a single dashboard (all on one login), it was much easier to action basic content updates. It was easy to schedule backups of the websites and database too with a single WordPress installation. 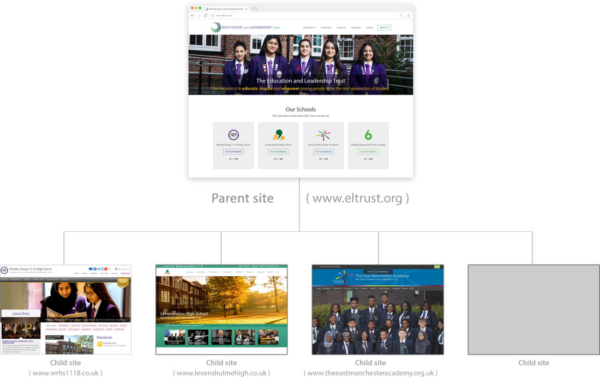 With the easy bit over it was time to get stuck into the coding and theme development, beginning with the build of our Trust website and parent theme (the site you’re on right now!). This was followed by individual school websites, starting with a brand new website for The East Manchester Academy, which borrows a lot of resources and functionality from the parent site. I learned a lot throughout the process and six months down the line, it still feels like the right decision. 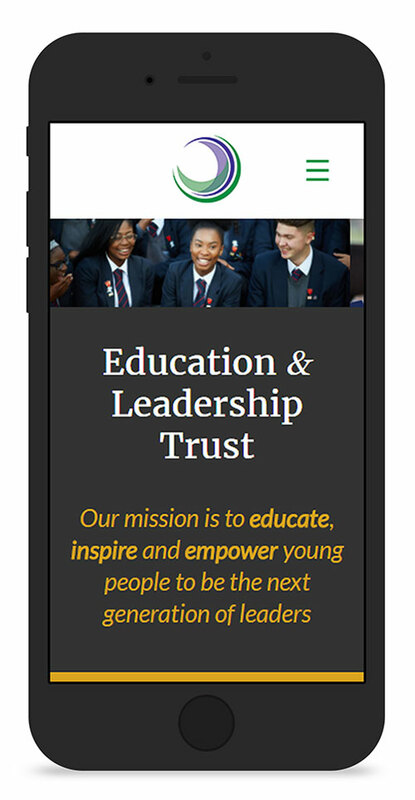 We’re now in an enviable position where our websites can share content when needed, but we’re still able to develop them individually, shaping each of them to the needs of the school, its priorities, branding and ethos. If you enjoyed this article why not share it!